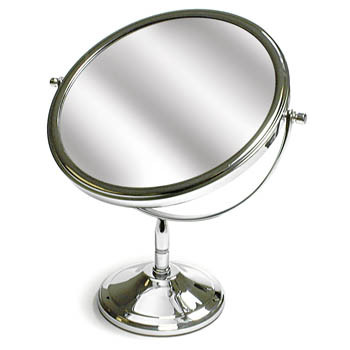 This classic mirror is ideal for use in the store or at home. One side is a regular mirror and the other is a 2X magnifying mirror. Chrome. 7-1/2" diameter.